While I may not be first in line at the mall on Black Friday, I do love to get my shopping on—at the local bike shop, that is. Here are a few of my favorite finds, which are sure to please any cyclist on your holiday list. 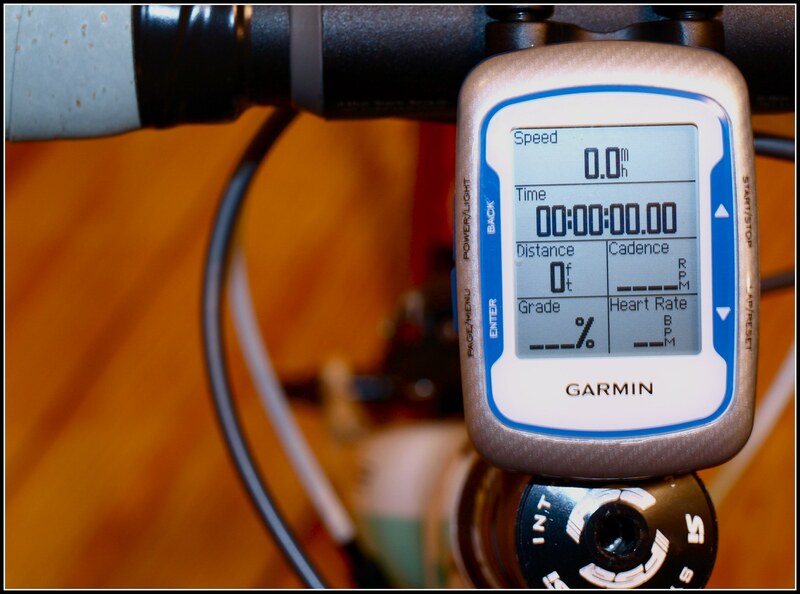 After going through two Edge 305 cycling computers in three years, I was thrilled when Garmin released this model at the beginning of 2010. The Garmin’s new twist-lock-mount is a major improvement, as are the simplified side buttons. The 500 generates the perfect training log, tracking things like distance, total ascent, percent grade, cadence, and heart-rate, while producing a detailed map of the route. It even displays the temperature. While this model doesn’t have live mapping, users are still able to plot routes online, upload them, and then program the unit to give turn-by-turn directions. Not bad for such a tiny gadget. If wearing a helmet is a cyclist’s first line of defense in a crash, then riding with a Road ID should be considered the second. The bracelet is a highly visible way for an athlete to display critical emergency contact info and alert medics to any medical conditions in the event of a crash. With a variety of colors and bands to choose from, the site makes it easy to design your own. Since most rides begin with tire inflation, then at least make it an enjoyable experience with Lezyne’s Alloy Floor Drive Pump. A long barrel drive maximizes pressure, and an extra-long hose makes it a snap to inflate tires from a bike’s repair stand. And with four vibrant colors to choose from, there’s one sure to suit every pumping personality. If you’ve ever yanked at your spandex shorts during a long ride because they keep slipping or wondered how much easier you could breath without a tight waistband, then bib shorts may be the perfect investment for you. Tip one of these bad boys upside down and it won’t leak or spill. Just squeeze for instant hydration. The Podium Chill keeps its cool on those long summer rides and liquids stay warm for winter toting. Need some motivation this winter? Put those long trainer hours to good use with RealRides’ training videos, led by former US Postal pro Robbie Ventura. Ventura films each workout on the road, where he teaches various skills and leads riders through group training exercises or even a simulated race. Videos focus on everything from force and climbing to strength and speed, allowing you to put together an entire program that grows increasingly harder as your fitness progresses. This entry was posted in Uncategorized and tagged clothing review, Gear review, trainer, Winter riding. Bookmark the permalink.